How Safe is X-ray Inspection for My Food? When X-ray food inspection systems were introduced, they ushered in a new era in food safety. X-ray inspection systems are used to find physical contaminants during the production process that might be missed by visual inspection or metal detection, thereby saving food manufacturers headaches, lawsuits and recalls. Over time, the sensitivity of X-ray systems has improved, allowing for even better detection. At the same time, the cost of the technology has decreased, making it a form of physical contaminant detection that is both reliable and affordable. That hasn’t stopped many food producers and consumers from being skeptical about X-ray food inspection. Although many plants today have in-house X-ray inspection machines, the industry as a whole remains leery of X-ray usage, largely because of concerns about radiation and radioactivity. Their concern has led to questions about how safe X-ray inspections are both for employees and for the food being X-rayed. However, understanding the truth about X-ray inspections and what happens in the X-ray inspection process can go a long way toward eliminating those concerns. Let’s take a closer look at how X-ray inspections affect both the product and plant employees. Understanding just how X-ray inspection is used provides a good starting point for understanding why it’s so important to the industry. X-ray inspection increases the chance of locating physical contaminants in the food supply, and unlike metal detection systems, it can discover a wide range of contaminants. This includes materials that contaminated the product while it was initially being harvested, such as stones or wood; items such as wire and blades that found their way into meat during the cutting process; and materials like bolts, rubber gaskets and hard pieces of plastic that fall into the product in the manufacturing plant. While metal detectors are still widely used in the inspection and detection process, there are many limits to that method. Metal detectors are effective at finding fragments including stainless steel, aluminum and more, but they are sensitive to metal packaging. They can’t be used after packaging if that packaging is made from aluminum, tin, steel or metallized products. This method is also not able to find other contaminants, such as bone, rocks, glass, rubber, plastic and more. 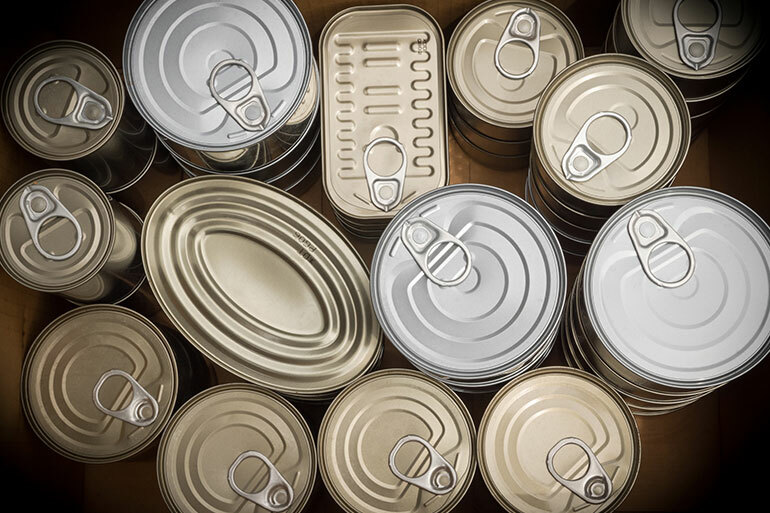 The ability of X-ray systems to detect a variety of foreign materials based on the density of the object is what makes it so valuable to food producers. Because fragments of foreign objects can find their way into food at many points during the production process, the ability to scan it at the end of the production process both lowers the risk of injury for consumers and the risk of lawsuits and recalls for food manufacturers. How Much Radiation Is Involved in the Food X-ray Process? One of the biggest concerns raised about X-ray inspection is that the radiation will affect the safety of the food. However, food X-ray inspection systems use high-voltage tubes, not radioactive materials, to conduct X-rays. Today’s equipment has become more efficient and is able to operate at as much as 70 percent lower wattage than the systems that were used a decade ago. 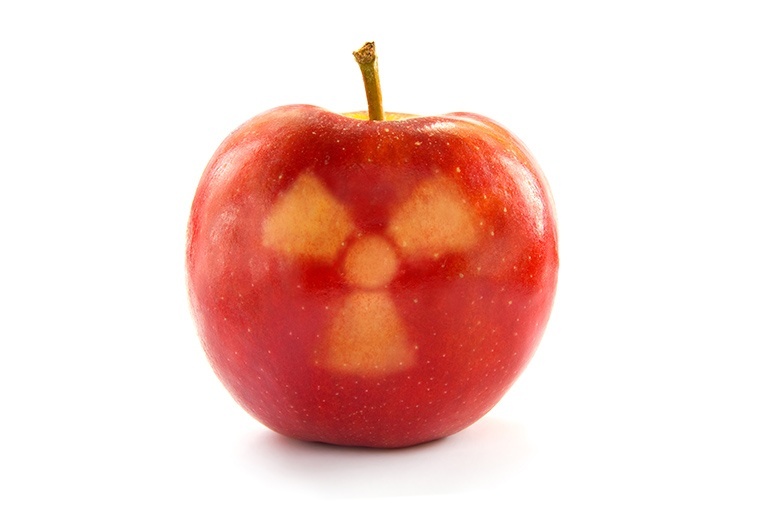 The amount of radiation individuals receive from consuming X-rayed food is very small. For example, a banana will have about .01 millirem, or mrem, after X-ray inspection; by comparison, a dental X-ray has 1.5 mrem. Due to the low amount of radiation that occurs, the FDA has determined that “There are no known adverse effects from eating food, drinking beverages, using medicine or applying cosmetics” that have been X-rayed. Food producers can be assured that X-ray screenings are not only protecting their customers from physical contaminants, but they are also protected from radiation. Does X-ray Inspection Affect Food Flavor? One big question food producers often have is how the X-ray process affects their food’s nutritional value, flavor and texture. The short answer is, it doesn’t. As noted earlier, the amount of radiation a product is exposed to is so minimal that it doesn’t affect the quality of the food. That includes organic products, which have to meet stringent requirements to maintain their organic status. In fact, one report found that food could be exposed to more than 600 million X-ray scans without compromising its quality or safety. The X-rays do not change the flavor, texture or nutritional value of the food because the exposure to radiation is so minor. Because of that, there’s no way that end users can distinguish food that has been X-rayed from food that has not. 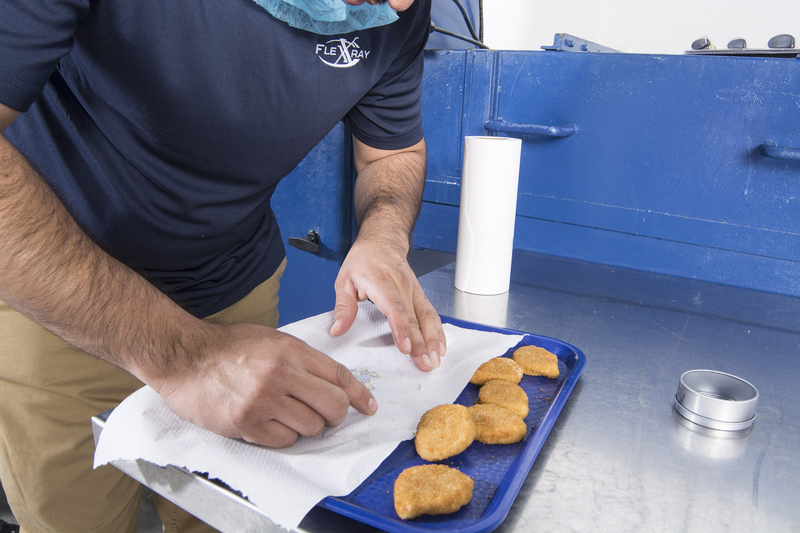 When it comes to food safety, X-ray inspection equipment plays a key role. All X-ray machines being used in food inspection today operate within the government’s guidelines and face close regulation to ensure safety. These guidelines ensure that the process keeps food and workers alike safe, and in doing so, food producers are able to be confident in the purity of their products. The ability to detect so many foreign objects creates a safer food supply and prevents contaminants from threatening public safety. Food X-ray inspection is a safe, effective way to make sure the food that reaches consumers is free of physical contaminants and hazards. Find out how FlexXray can help improve the quality of your product through third-party X-ray inspections. 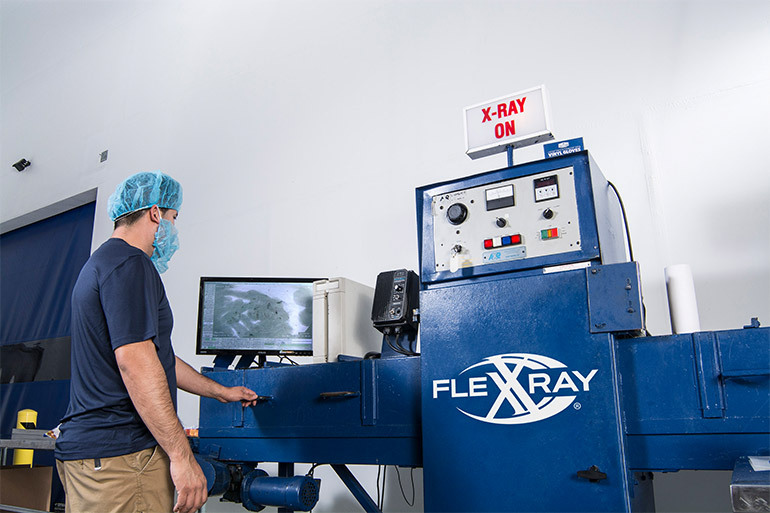 From learning how X-rays and foreign object detection systems work to knowing what contaminants to look for with your products, the FlexXray blog is a valuable resource for food manufacturers and other companies. Subscribe today! What Happens With Contaminated Food After Foreign Material Inspection?